The way music theory is traditionally taught makes it seem intimidating and complex. This is essentially what Musiclock seeks to change and disrupt. 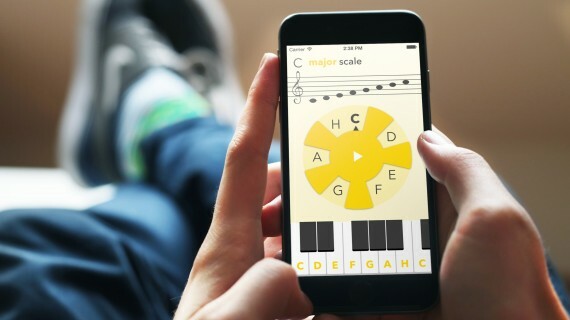 The app shows that scales are in fact quite simple structures that anyone can grasp if they are teached in a manner that is visually easy to understand and memorise, and can be connected to practice straight away. Musiclock also challenges the notion that music theory is only really necessary for those musicians who seek classical training. The backing tracks from various genres make it obvious that this new way of learning quickly results in greater creative freedom – no matter what your musical style of choice is. Creativity and self-expression are at the very heart of learning to play an instrument. Musiclock offers a new, easy way for anyone to learn music theory and thus enabling them to express themselves musically without limitations. Musiclock encourages exploration. It does not tell its users what to play, but instead offers a set of tools that they can use to find their own killer melodies. The enthusiastic reviews from the users, bloggers and online publications has shown that this is exactly what the app has achieved. For many, it has made a significant obstacle in the way of self-expression much easier to cross.